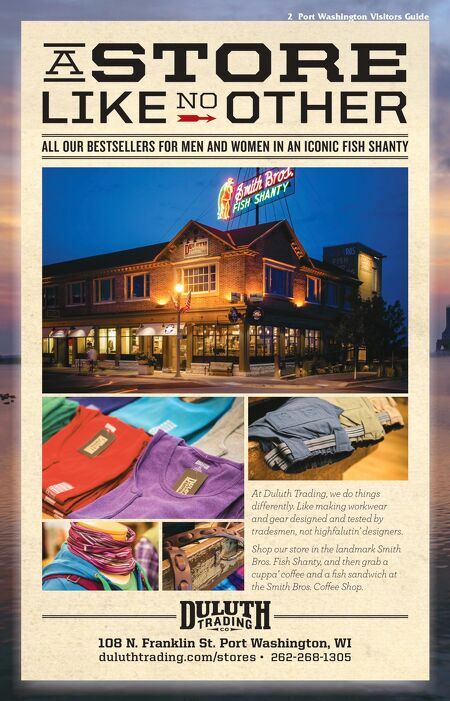 2 Port Washington Visitors Guide ALL OUR BESTSELLERS FOR MEN AND WOMEN IN AN ICONIC FISH SHANTY 108 N. Franklin St. 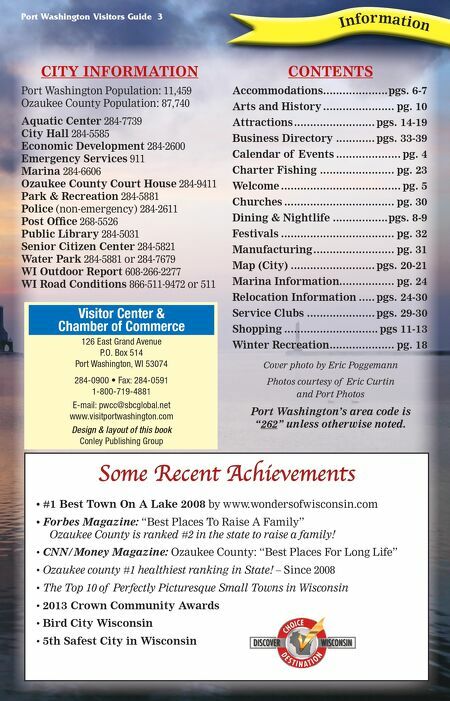 Port Washington, WI duluthtrading.com/stores 262-268-1305 At Duluth Trading, we do things differently. Like making workwear and gear designed and tested by tradesmen, not highfalutin' designers. Shop our store in the landmark Smith Bros. Fish Shanty, and then grab a cuppa' coffee and a fish sandwich at the Smith Bros. Coffee Shop.